According to hot tub owners, one of the most unexpected benefits of hot tub ownership is the better quality of sleep. Almost half of all homeowners surveyed report that having a soak in their hot tub before bed is their favorite time to enjoy it, something many of them didn’t anticipate before they became hot tub owners. For insomniacs who don’t wish to take pills or sleep aids, this is a chemical-free way to get a good night’s sleep. For those who aren’t insomniacs, a soak in the hot tub before bed just makes sleep that much sweeter. Going to the gym can leave muscles sore whether it’s ‘arm day,' or ‘leg day.' A hot soak afterward means a faster recovery time after a hard workout. People who might stop going to the gym because ‘it’s too hard’ have a way to rejuvenate, which means they’re more likely to return to their exercise routine the next day instead of giving up. Whether it’s a sports-related mishap or a knee that got banged in a fender-bender, a hot tub can become a go-to for those who need the soothing heat and bubbles to help shake off those little bruises and bangs. A hot tub can provide relief for a variety of aches and pains. The problem can be something as simple as sore feet from shopping. A contractor who installs a high ceiling might be dealing with an aching neck and shoulders. Back pain occurs quite frequently in tall people, especially if they are required to bend and stoop. Even those who are just feeling the effects of their age will benefit. The combination of soothing heat and the flotational nature of a spa is such that it relieves the pressure of gravity on the body’s frame, reducing joint pain. Spa bubbles also massage the muscles, which means the body’s skeletal system and muscle mass both obtain relief. Aside from the direct benefits of soothing, relaxing soaks, a hot tub owner can enjoy the benefits of the ‘reliefs not taken.' He has a healthy alternative to muscle relaxers, pain killers or sleeping pills. He is more likely to keep up his daily exercise routine, which means he’ll remain healthier, and he’ll enjoy the countless benefits of getting enough quality sleep. 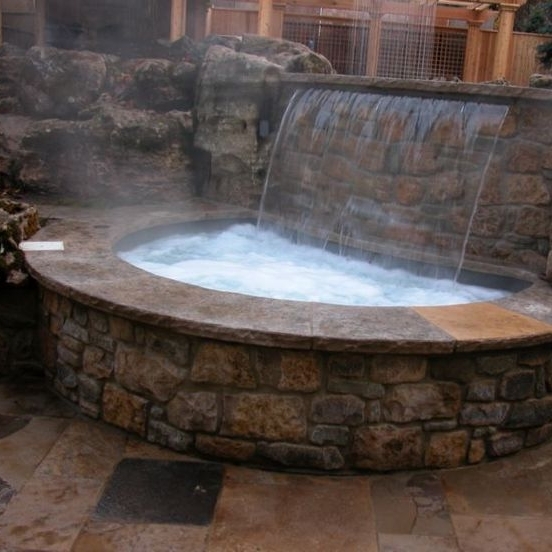 It’s no wonder that about 10% of hot tub owners enjoy their hot tub on a daily basis.